casual off rock environments. 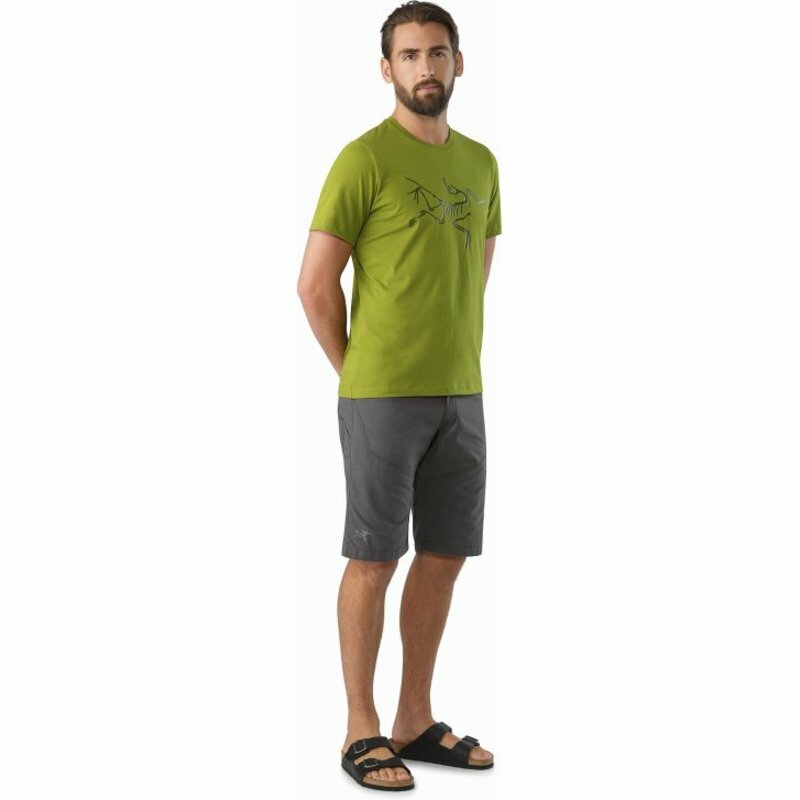 The fabric, a 6.5 oz, midweight canvas, is constructed with a blend of cotton and nylon for cool natural fibre comfort and extended durability. 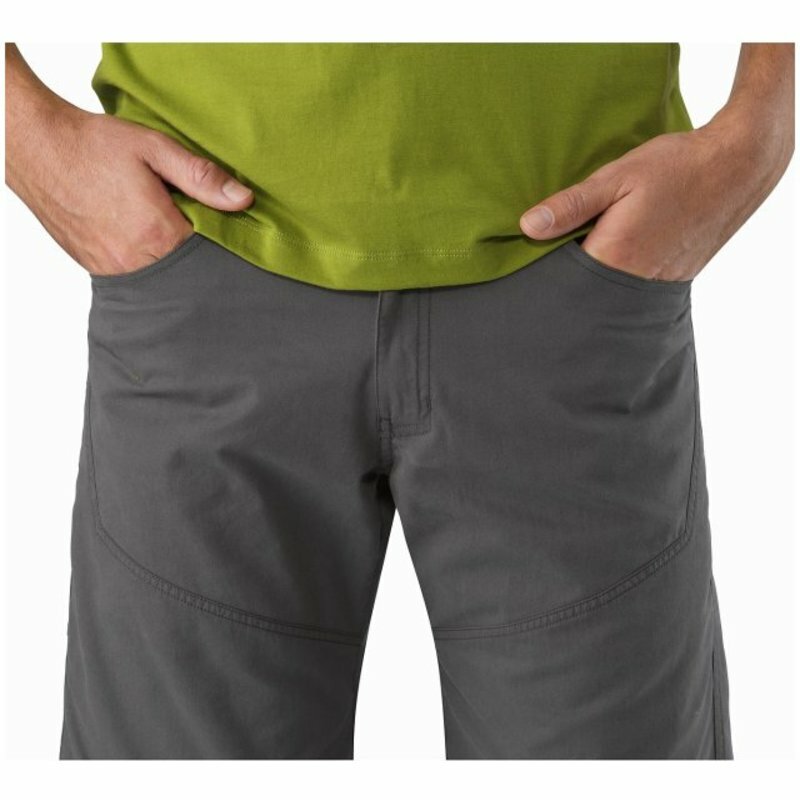 The workwear inspired design includes multiple pockets and riveted stress points. 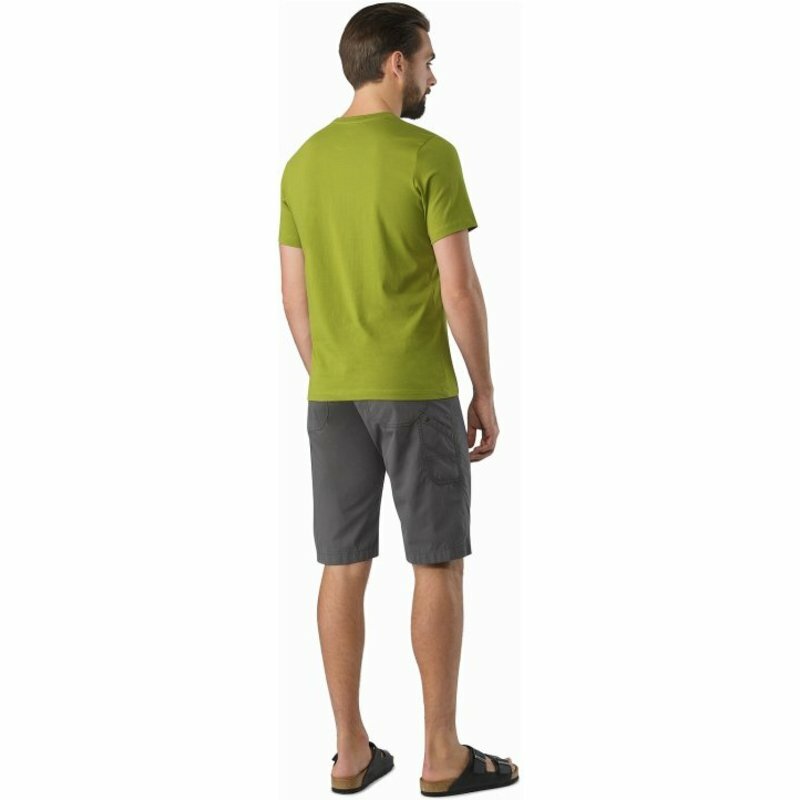 The Bastion is more than just a weekend wear. 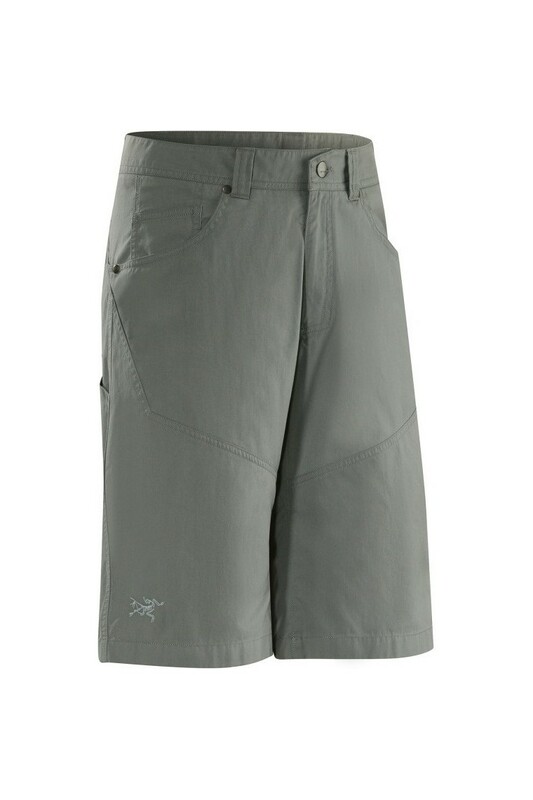 Designed with a focus on performance, the Arc’teryx attention to freedom of movement is evident. 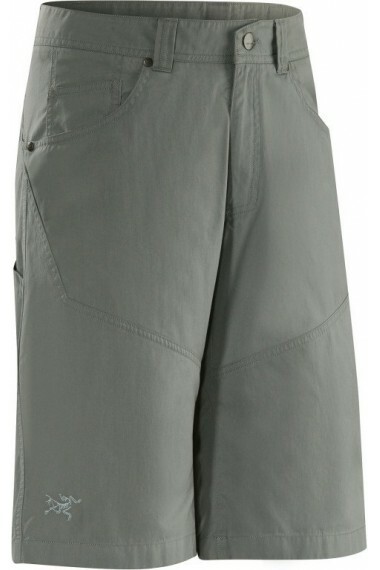 The relaxed fit utilizes articulated patterning and gusseted construction for maximum freedom of movement. 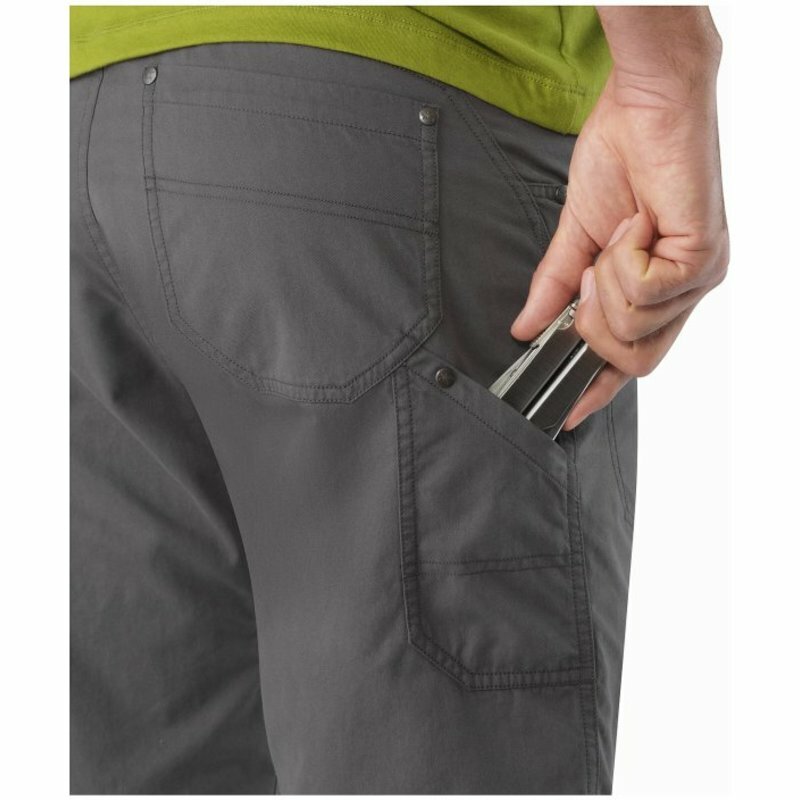 Features include an easily accessible leg pocket that holds a smartphone or media device. Cotton Nylon Canvas 6.5 oz/yd² (233 g/m²). A burly, mid-weight Oxford weave textile with a smooth hand that is constructed with a blend of cotton and nylon for comfort and durability.